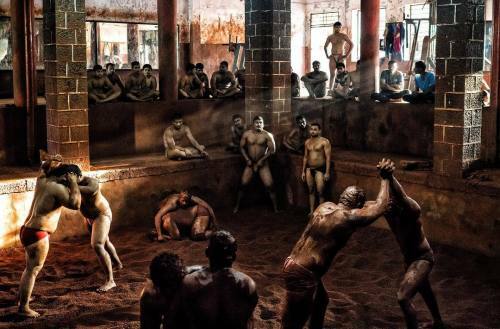 Another epic scene from my Kushti wrestling shoot. All part of my project on the world's oldest fighting techniques and conflict resolution through sports project. I've been sitting in my studio for the last week editing a ton of work from the last few months. Will hopefully get everything up on the website soon." By benlowy on Instagram.